Load Capacity: 300 type IA . Material: Fiberglass . Height: 8′ to 12′ . 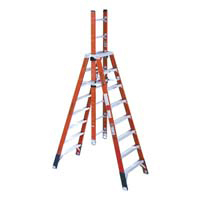 Type: Specialty Ladder.